Transgender Europe (TGEU) and Trans Network Balkan (TMB) have made a submission to the European Commission on the experiences of trans people in Albania, Bosnia and Herzegovina, Kosovo, Macedonia, Montenegro, and Serbia. The European Commission monitors the situation in these (future) EU Accession candidate countries for its compliance with the EU acquis. 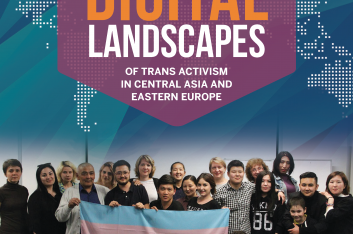 TGEU and TMB found that trans people belong to one of the most oppressed and marginalised parts of Balkan societies, facing socially sanctioned violence, and widespread discrimination in all areas of life. Their rights are at large disregarded. Where legal protections exist, they remain illusory and theoretical in practice. Recent years have seen a worrying increase in hate speech and populist scapegoating party rhetorics targeting trans activists across the region. An adequate response from public authorities or law enforcement is missing. 1) Legal gender recognition regulations are not available in Albania, Bosnia and Herzegovina, Kosovo and Macedonia; procedures in Montenegro and Serbia require sterility and heavy medical interventions. 2) Trans-specific healthcare (TSHC) is unavailable in most countries of the region with the exception of Belgrade, Serbia (regional monopoly) and partly Montenegro. ● Consulting and actively involving trans civil society on how to improve the lives of trans people.